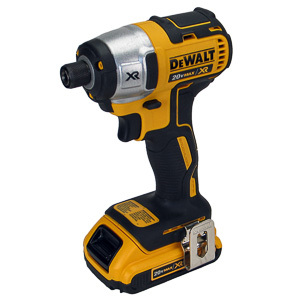 The latest and greatest from DeWalt arrived inmy shop this week. The DCF886 is DeWalt's flagship cordless driver.Its specs promise some of the best performance in the category.Having reviewed the competition's best, giving this one its shot atthe title was inevitable. Let's take a look at what DeWalt's bestcan do in the Hingmy workshop, and if it can rule supreme as theking of cordless impact drivers. 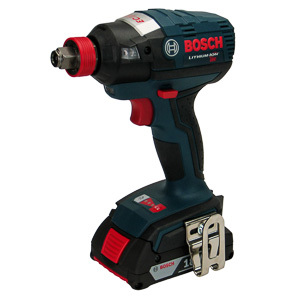 This week the Bosch IDH182 gets its shot at thetitle of "Best Impact Driver" you can buy. Its innovative chuck,cutting edge technology, and excellent performance numbers make ita worthy challenger. Let's take a look at how well the IDH182manages to translate great paper specs into exceptional performanceon the Hingmy test bench. This week we'll take a look at the Milwaukee2401, a compact drill/driver in the M12 line. Positioning a highquality tool with the matching price tag in the lower end of thetorque range is always risky. Let's take a look, if the engineersat Milwaukee managed to deliver a useful tool, or if the 2401 issimply too weak for what it is going for. 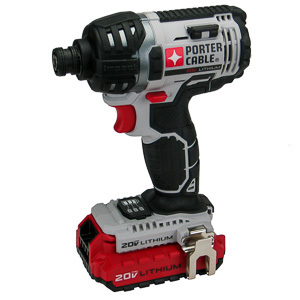 A small and inexpensive cordless screwdriver isa good tool to have around the house. 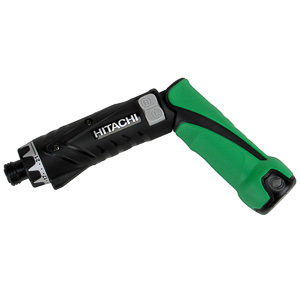 It speeds up removal andinstallation of small fasteners and saves your wrist. The HitachiDB3DL2 is such a tool. Knowing that the word "inexpensive" isalmost always accompanied by "limited", I got the screwdriver intomy shop for an in-depth review. Let's take a look at how the DB3DL2performs. The excellent PCC600 cordless drill I reviewed acouple of weeks ago made me look forward to this week's review thePCC640 cordless driver. If the two tools are anything alike, thePCC640 will perform like a sport car. Let's take a look, if thePCC640 cordless driver matches the high quality of the tools inPorter Cable's 18V lineup, or if it turns out to be a lemon. Drivers excel at driving screws, bolts, and other fasteners. 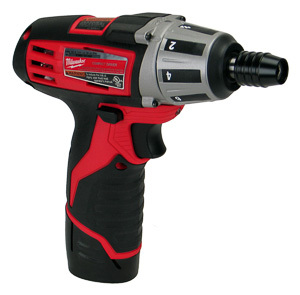 They outperform cordless drills when driving screws both in terms of driving power and ease of use. Large drivers can be used to drive lug nuts and industrial size nuts and bolts. Drivers differ from drills in the amount and type of torque they deliver. Driving a screw requires high, burst-like torque. Drills produce continuous torque. A driver puts much less strain on the user's hand than a drill used for driving screws produces. For the best user experience it's best to purchase a separate drill and driver. Manufacturers understand the desire of users to have a single tool that performs well as a drill and a driver. This tool is the drill/driver. It has more torque than a drill to drive screws, and a friction chuck to mount drill bits. To get the torque up the tool has to spin slower, which hurts drilling performance. The friction chuck makes it harder to install hex bits. A drill/driver is a good choice for a seldom used tool. In these scenarios the design quirks of the tool are not going to slow the work down much. If you want a tool to keep around your house for the occasional repair, a drill/driver is a good choice. On large jobs a drill/driver is going to slow you down. Pure drivers prioritize torque over everything else. They provide the smoothest fastener driving experience available. All that power allows a driver to break lose fasteners much more reliably than other tools. Good drivers focus the torque on the fastener keeping the hand of the user as still as possible. After a day of work you'll feel the difference. The hex chuck is the default choice for such a tool. It makes the installation of bits an operation that takes a couple of seconds at best. Replacement bits are cheap and interchangeable between manufacturers. A driver with a 1/4" hex chuck is the best choice for driving screws. A wide variety of bits exist to drive just about any type of screw with this tool. Bit changes take only seconds. A square chuck driver is the better choice for driving nuts and bolts. The square chuck is bulkier and more powerful. This provides the power necessary for driving large fasteners. They are found in the Impact Wrench section. The next most important consideration is the driver's torque. Drivers with 80ft-lbs of torque or more are able to drive screws in just about any situation. 100ft-lbs of torque or more are recommended for frequent users. Driver's with less than 80ft-lbs are best for occasional use. As little as 8 ft-lbs of torque is required to sink a 3 inch screw into framing members. A tool like this will get the job done, but it'll do so slower and with less control. For home use just about any driver is powerful enough. For automotive applications 300ft-lbs or more are required. Below that number, the tool will not be able to loosen stubborn lug nuts. The most important consideration when choosing a battery is the lineup of tools that the battery fits in. Your driver is only one tool in your collection. Even if you do not plan on purchasing another tool it is best to plan for the future and choose a battery that is part of a well established system. The type and size of the driver's battery defines its endurance. Lithium-Ion battery technology is the most advanced at present. This type of battery will drive the most screws per charge. The other technologies lag behind, but are not necessarily without merit. Next choose a battery size. Larger batteries hold more energy, but they also weigh a lot more. A driver with a smaller battery pack is easier to handle than one with a large pack. Smaller battery packs have to be changed more often than larger ones. Drivers come in different physical sizes. The larger ones are usually made to perform on a jobsite all day long. These tools have the physical heft necessary to manage the internal heat created by driving hundreds of deck screws. Their weight makes them hard to control when doing fine work, especially for weaker users. Smaller driver don't necessarily have less power than larger ones. The difference will only become apparent after driving the 50th screw of the large project. If your project ends before you get there, you can enjoy the maneuverability of a much lighter tool. A small driver is particularly useful for doing home repair and in the shop for cabinet work. "Wow .. this tool looks like a clear winner. I have used Cordless Impact Drivers but not like this tool." "This driver has the power to do it all, yet is smaller than the previous generation. It should be on your toolbelt. It is that good."